Every book in this series gets better as you get to know the characters! Each couple has their own charms and quirks and when they get together they are hot! Hot! Hot!! 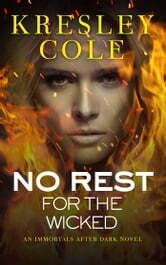 Love this book as always Kresley Cole never disappoints, I read everything she puts out to thrill and move us shes got the touch, so like every other book she writes I am eagerly waitting for the next! Abundance of romance and adventure.